Beautiful, useful Arborvitae (Thuja) come in both upright tree form, and in smaller shrub form.  Nature Hills offers both but we keep them separated into Trees and Shrubs. Arborvitae are so popular across the country because they are easy to grow in many different growing conditions. Thujas are very hardy, undemanding plants that can adapt to a wide variety of soil conditions. Most are very cold hardy. Arborvitae are relatively pest free. They will like a sunny place yet can take a bit of light shade too. They will do best with an even amount of moisture, so plan to add a smaller amount of water a bit more frequently. With Thujas, instead of watering deep and heavy and waiting for the soil to dry out, you'll want to water just enough to moisten the soil without allowing it to become too dry. The evergreen foliage is soft and green. You'll love running your hand over it, it's not prickly at all. Like all evergreens, they do shed the older foliage each year, but they will hold the newest and youngest green foliage closest to the outside of the plants. They'll maintain that pretty evergreen look you want all year long. We're sure that there is just the right Arborvitae for your landscape needs! These plants are easy to care for and will remain attractive for long periods of time with minimal effort. Pay close attention to the mature size listed in the Plant Fact Highlights when deciding where to plant these shrubs. Some of these selections are perfect foundation plants, small hedges, and others will make fantastic specimen plants. The smaller shrubs offer interesting colors, textures and forms. Let's check out some of the fun varieties of Arborvitae shrubs that we have available. Both Hetz Midget and Little Giant are both globe Arborvitaes that grow slowly. 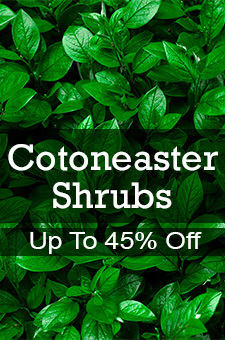 They have a nice dark green, soft foliage and would never need any pruning. If you want to keep the plant smaller then 3-4 feet round, then you can begin giving it a haircut when it hits the size you would like to keep it at. Both plants make neat formal little hedges or would be excellent for sunny foundation plantings. Woodward Globe Arborvitae is an easy to grow globe shaped plant that gets bigger, eventually attaining a rounded shape of six or eight feet high and wide. Use this variety at the corner of your house to ground it to the landscape, or along a driveway. This variety gives a soft sense of privacy, without turning your property into a fortress. Fire Chief is a unique globe variety with a great color. The newest growth in the spring is golden yellow, and then in the fall the plant has a very nice reddish cast at the tips. This sun loving plant cannot dry out, so keep it evenly watered. This is an excellent accent or specimen for a Zen Garden, rock garden or as a fine textured hedge with good color. One last rich green, very fine textured globe shaped Arborvitae is called Mr. Bowling Ball for obvious reasons. Only grows 2 to 3 feet once mature, and it's a super hardy little guy. Perfect uniformity makes him a great hedge or formal specimen plant, too. Why not include some Arborvitae shrubs in your foundation planting, as smaller more formal hedges, or interesting specimen plants with unique color and texture? They provide four-season beauty wherever planted, and they can create an inviting look to an entry way or driveway. You can allow them to grow naturally with softer look. They also can be sheared or pruned. 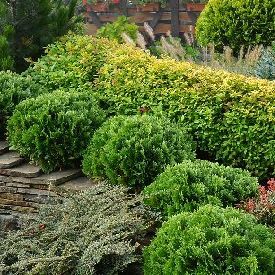 If you are growing your Arborvitae as sheared plant in a formal hedge, it is better to trim your plants in the spring or early summer. Hold off doing much pruning in the fall. Here's a ProPlantTip from our horticultural team. We get lots of phone calls in the fall when the older interior foliage turns yellow and falls out. However, this is a very normal process that will happen year after year as the plants continue to grow and expand. 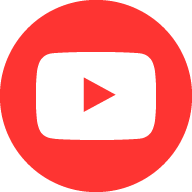 Best of all, it is nothing to be concerned about. Simply rake or blow out the old foliage and dispose. This is how an evergreen "loses its leaves" in the fall.